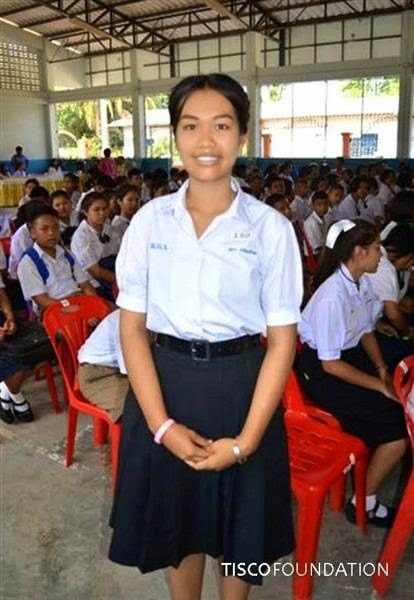 Ms. Sumalee Sarawig, a teacher at Wat Bang Peung School, Lopburi, is so proud and happy for her 20 students for receiving scholarships from TISCO Foundation. The new TISCO logo first appeared to public in 2013. With the shape of a circle, the logo is designed under the concept of “Ring of Opportunity”. 1. The Blue Ring Share symbolizes 'Opportunities' that is TISCO's commitment. Blue color represents growth, prosperity and infinity. 2. Dimension of Inner Red Ring Shape symbolizes countless energy and always open for new opportunities. 3. TISCO Blue Fonts represents TISCO's readiness to create opportunities that lead to well-being and wealth for customers and the society. The logo “Ring of Opportunity” will appear in all 2014 Piggy Bank special edition. It means that TISCO employees have countless energy and are ready to build opportunities for children to receive education and for underprivileged individuals to revive their occupations for earnings and regain their health and quality of life. 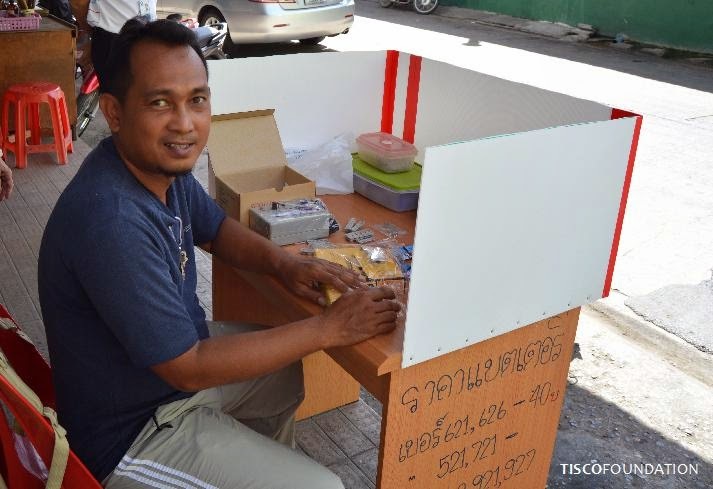 Today TISCO Foundation provided support to Tanapon Amyunuch with tools and equipment for watchsmith, value 12,000 Baht. 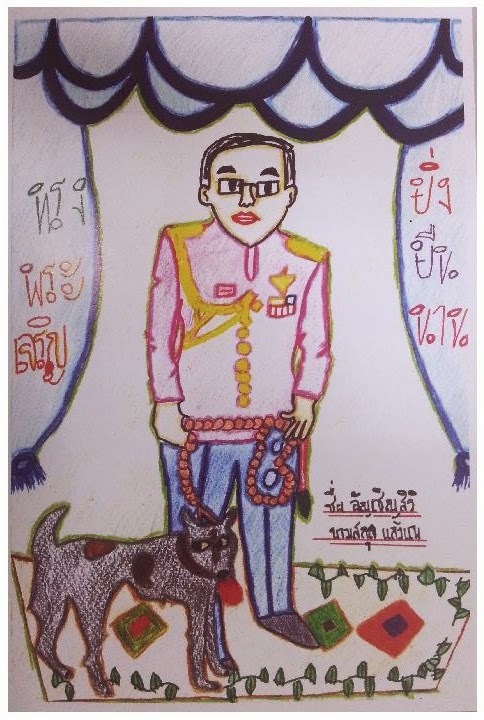 We published his story on Apr 18 when he submitted a request for support. Now, he's able to restart an occupation that he loves and excels. If you follow TISCO Foundation's movement closely, you will be able to tell that this is the period we are collecting information from social workers of hospitals that have been actively working with us. The last stop was Phra Mongkutklao Hospital where we met a team of medical doctors at the Child Nephrology Unit (CNU) and the hospital's social workers. The meeting was vibrant with rich information about their holistic and proactive approach to helping children with kidney disease and their families. The holistic and proactive approach in medical care is probably one of the most successful models that many hospitals, including Phra Mongkutklao Hospital, are following. However, the context of medical care for the unit is different from other medical are units due to differences in target population's demographics. For example, Vejkaroonrasmi Hospital in Nong Jok area focuses on helping patients who are immigrants and those in labor class because that's the demographics of most population. 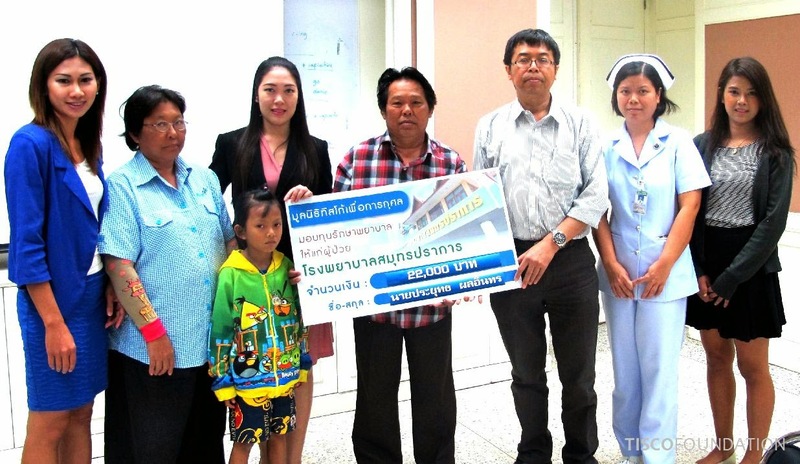 However, the CNU's patients are children from various provinces as it has been appointed as a 30-Baht Program Center for Child Nephrology for central Thailand, covering Pitsanulok to Prajuabkirikant provinces. Therefore, with the holistic and proactive approach, the unit needs to explore challenges around the patients, and ones like travel costs and temporary housing would come up. Collaborating with other sectors, e.g. Tambon Administration Organization, local chapters of Red Cross, is also important when the unit has to perform home follow-up to ensure that the child patients are well taken care of. Another important area is child's rights issues that the unit needs to concern – access to education, a right to have a family or a guardian, access to recreational and life skills training, etc. This creates a big question to the foundation if we are providing help that is relevant to the real needs. Now with the improved 30-Baht Program and social welfare, medical care expenditure is no longer the most important issue. But it is the entry point to other problems that are even bigger and more critical. 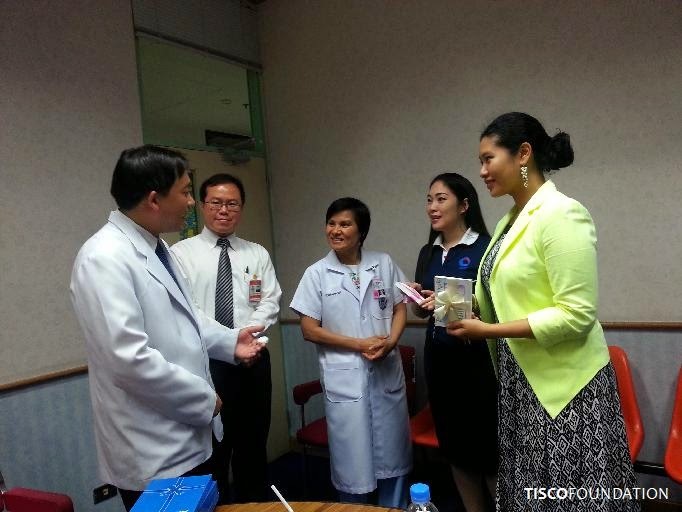 In December 2013, TISCO Foundation donated a Continuous Positive Airway Pressure (CPAP) machine to Mr. Prayuth Phol-in at Samutprakarn Hospital. Prayuth has been suffering from severe sleep apnea. This is a part of the foundation's medical fund donation program which aims to provide opportunities to underprivileged people to have a better quality of life. 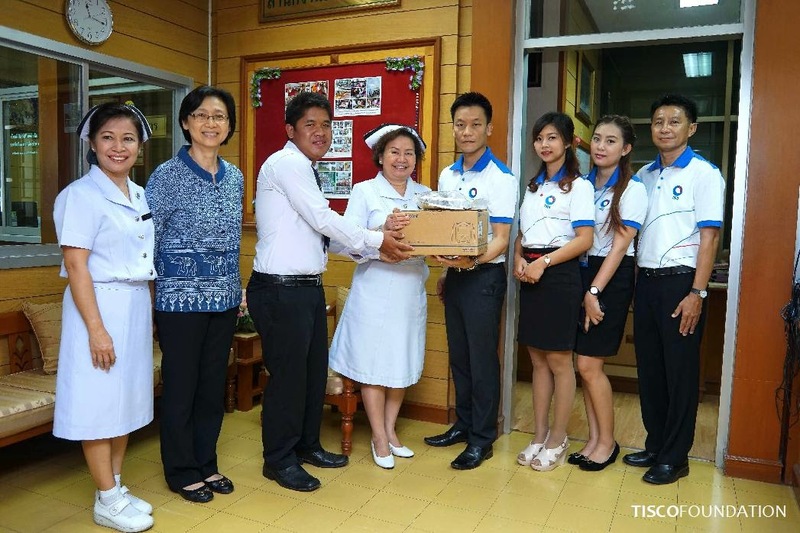 Khun Anukul Boonmahathanakorn, TISCO Chiang Mai/Chiang Rai Branch, represented TISCO Foundation to donate a CPAP to Patipan Sri, 22, at Chiang Rai Rajaprachanukraoh Hospital. 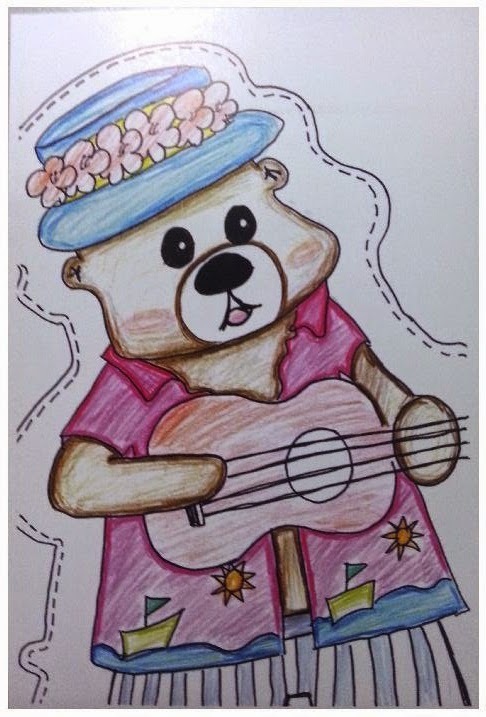 Patipan was born with epilepsy which made him take seizure-control medication since in his young age. 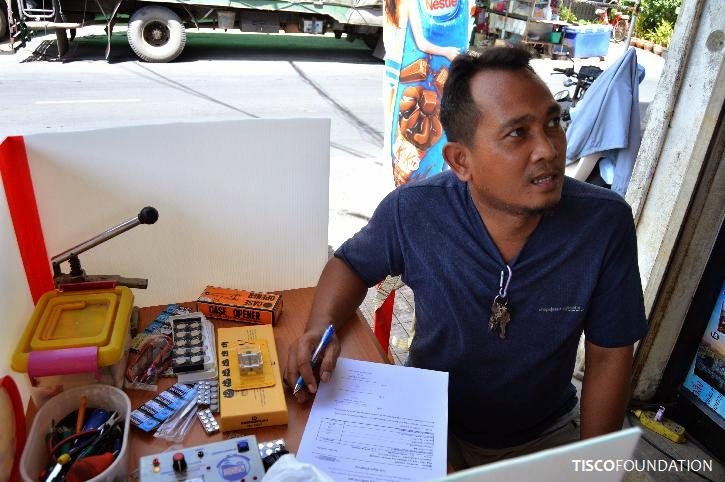 A strong side effect from such medication is sleep apnea, which Patipan's condition has reached to the severe level – his breathing stops 39 times in one hour. His medical doctor prescribes using a Continuous Positive Airway Pressure (CPAP) machine to aid his breathing while sleeping. Today, Patipan is a junior student at Rajabhat Chiang Rai University. 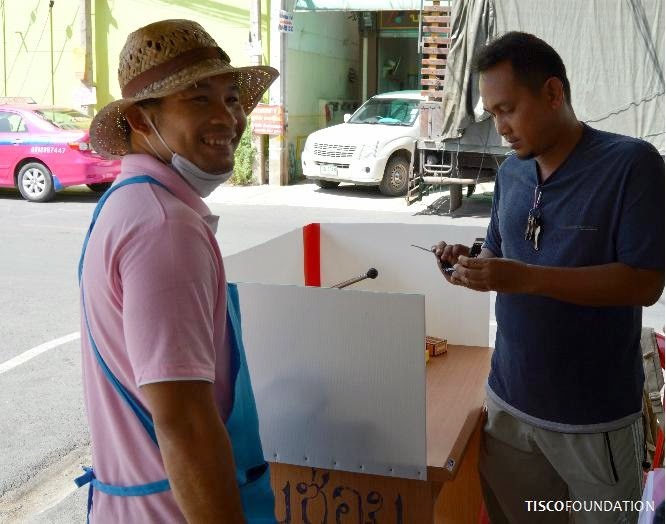 He's also a volunteer at Birth Control Association Chiang Rai Chapter. 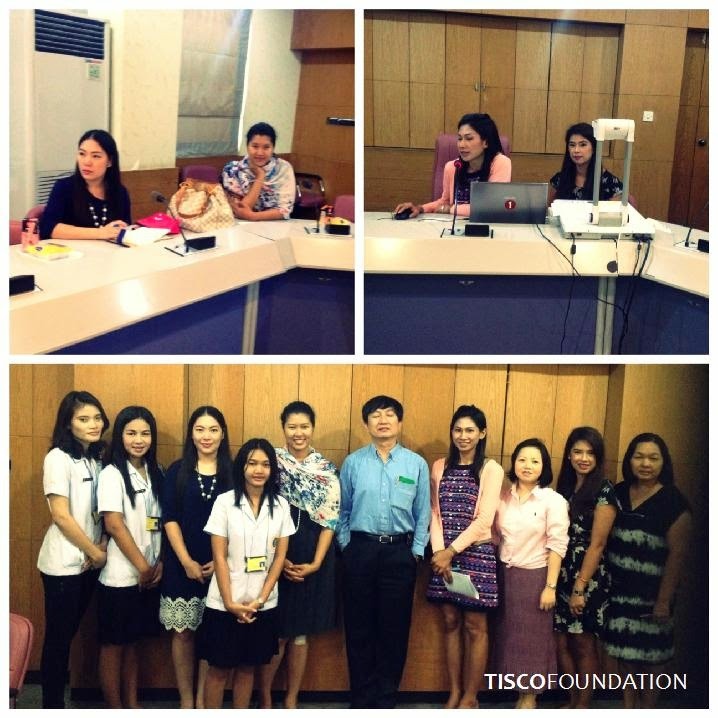 This is the first medical grant contribution case in Chiang Rai by TISCO Foundation. With appreciations to TISCO Chiang Rai branch team on this. บริษัท ร่วมทุนชนบท จำกัด Rural Capital Partners Co., Ltd.
On May 9, 2014, TISCO Foundation attended an Annual General Meeting of Rural Capital Partners Co., Ltd. (RCP) as we are a shareholder of 10,000 shares. RCP is a very pioneer in Thailand's social enterprise phenomenon. It was established in 1992, which was probably when we did not even have the word 'social enterprise' to describe such type of social development-oriented for-profit company. The shareholders are comprised of Thailand-based financial institutions (50%), international financial institutions (30%), private business companies (13%), non-profit organizations for social development (3%) and individuals (4%). The mission of RCP is to promote growth in small and medium sized cottage businesses that aim to alleviate poverty in Thailand's rural areas in a sustainable manner. The services include joint-venture, loans, business consultancies and training to strong cottage businesses and development projects. In the past 24 years, RCP has invested in 6 join-venture projects and made 18 loans to cottage businesses in rural areas across Thailand. It also provided consultancy and training services to several organizations, namely The Learning Institute for Everyone, People's Empowerment Foundation, Local Development Institute and World Bank. Despite of good amount of join-ventures and services, RCP is not significantly growing business-wise. This may come from the fact that the folks there aim to achieve the social development-oriented objective, and their skills gear towards that direction rather than profit-making. This in fact has been an important challenge for social enterprise for a long time. Those unsuccessful have to close down or change their status to a charity organization that needs to depend on support from others. Successful social enterprises on the other hand must keep their patience to prove that their operations are able to make a difference to the society. But, we don't see anyone coming out to deny that such model brings failure to the social develop process. As a shareholder, the foundation would like to call for support from other shareholders and other organizations to help RCP pass this critical phase. We still believe in this social-enterprise model and the RCP founders' strong intention to create a sustainable social development framework for Thailand. We also believe that by drawing support from financial institutions and private business is to create a skills transfer process, for the non-profit folks to increase skills in business administration and profit making, and vice versa. In the last few weeks, the foundation team has made a visit to hospitals that have been working with us to help needy patients. 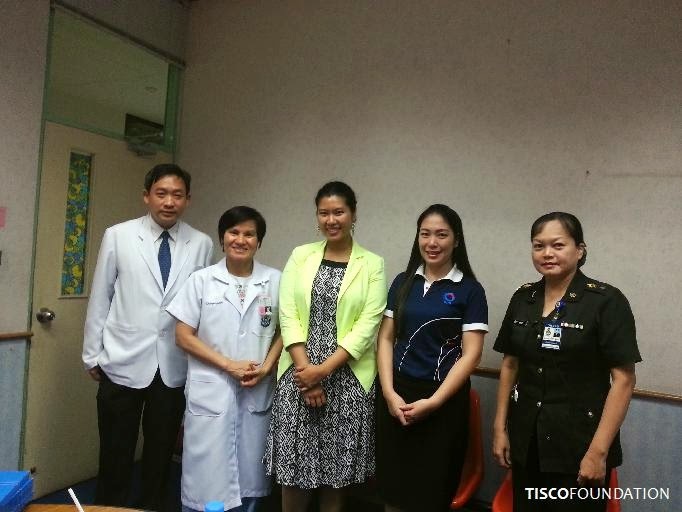 The last stop was Phra Mongkutklao Hospital where we met the hospital's social workers and medical doctors at the Pediatric Nephrology Unit. 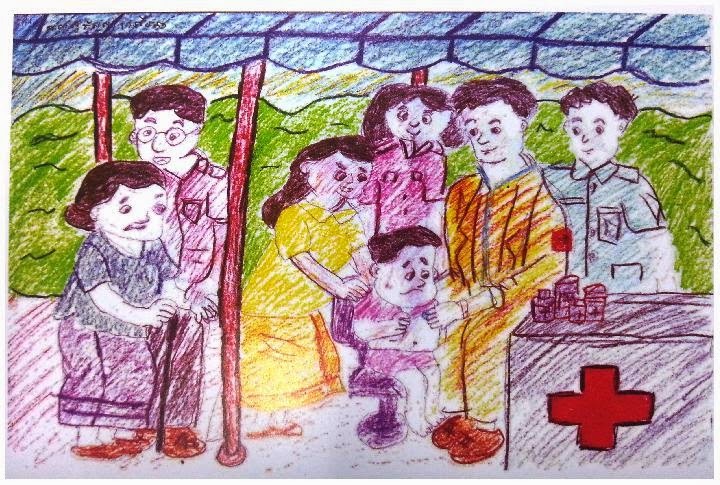 Apart from priceless information about current situations on needs and challenges In medical care area, we unexpectedly found a postcard printed with a painting by Suchanya Wejthaisong. Suchanya was a foundation's medical care grant beneficiary back in 2013 while she was still a patient at Samuprakarn Hospital. 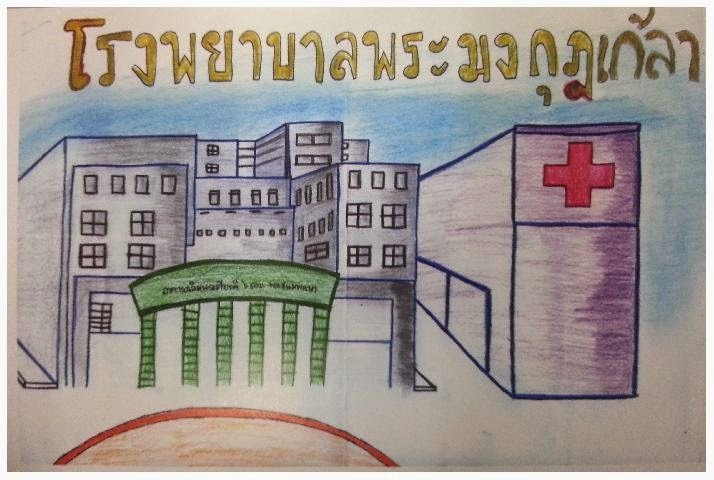 She was transferred to Phra Mongkutklao Hospital, the center of nephrology treatment in children of Thailand's central region. She has a complex symptoms of kidney failure and SLE. 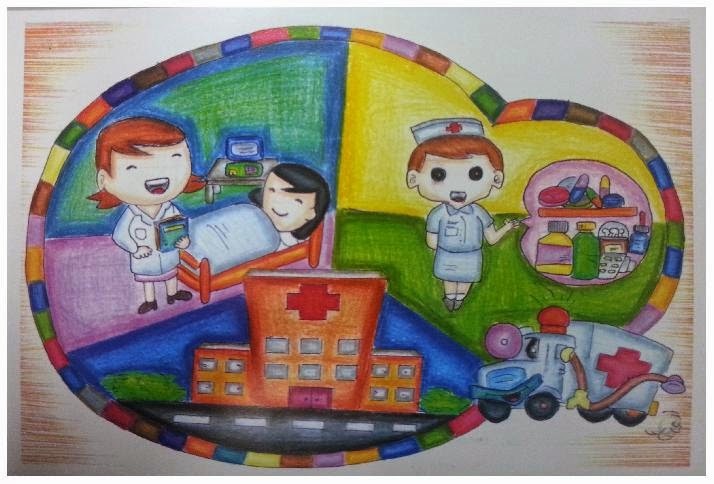 Her painting was printed as a postcard together with paintings from other kid patients. The aim was to build awareness in the disease in public and to raise funds to support the unit and patients' families. If you wish to support the unit in any way, please contact 02 3547799.